Eddie Izzard has announced he is back with brand new show Wunderbar which he will take to over 40 venues in the UK in late 2019. Presale tickets for the shows are on sale now. General sale starts at 9am on Thu 29 Nov.
A true comedy legend, Izzard has been making audiences laugh since the 1980s, touring the world multiple times and making appearances on stage and screen. The 2019 tour marks the comedian's first since 2013's recording breaking Force Majeure, which he performed in 4 languages over 45 countries as well as in all 50 US States. 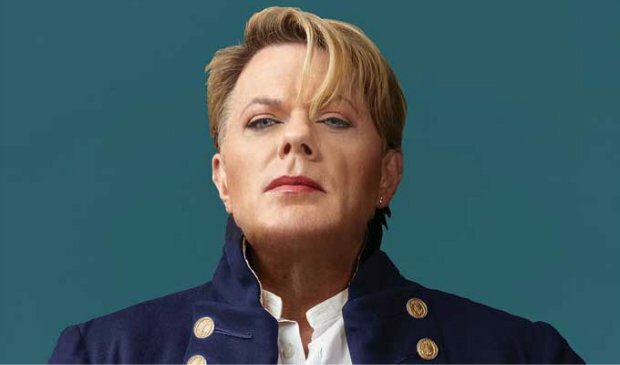 Izzard has hinted that the tour could be last, commenting 'It is getting close to the time when I have to go off for a while to have a political life'. The mammoth tour kicks off on Sun 15 Sep at De la Warr Pavilion in Bexhill on Sea before heading on to a five-night run in Birmingham. Izzard will perform over multiple nights at most venues throughout the tour, including four nights at the London Palladium from Wed 30 Oct–Sat 2 Nov.
Presale tickets for the shows are on sale now. General sale starts at 9am on Thu 29 Nov.